Since the dawn of civilization, stories have been passed down about visitors from other worlds. With the proliferation of mass media, reports of extraterrestrial visitors have only increased in frequency. On July 7, 1947, townsfolk in Roswell, New Mexico bore witness to the now legendary UFO crash. On July 13, 1952, countless residents in Washington DC reported UFOs flying over our nation’s capital. And more recently, On March 13, 1997, thousands of people reported a series of lights flying in formation over the city of Phoenix, Arizona—an event now referred to as The Phoenix Lights. The Phoenix Lights are a subject of that not only sparks the imagination of ufologists, but also Hollywood. 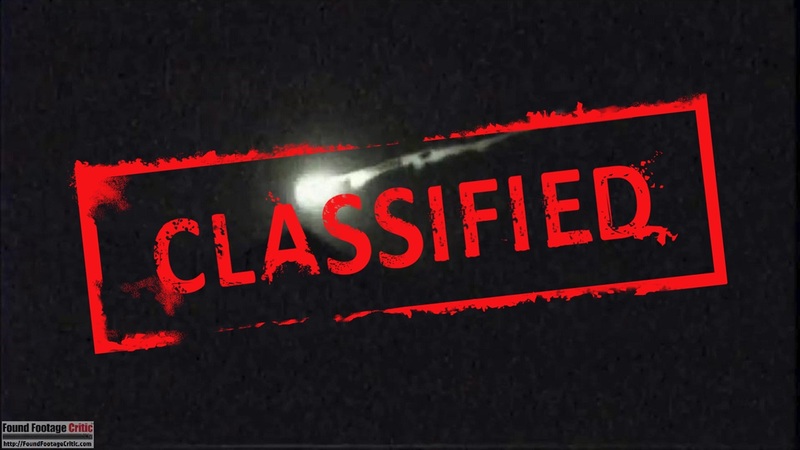 The found footage genre has witnessed not one, nor two, but three, yes three found footage films about the Phoenix Lights! Even more amazing, these three films were all released within a three-year window in 2015, 2016, and 2017. Is this pure happenstance? Or perhaps this is part of a government sponsored propaganda program to promote plausible deniability about what actually took place in Phoenix, Arizona on March 13, 1997. 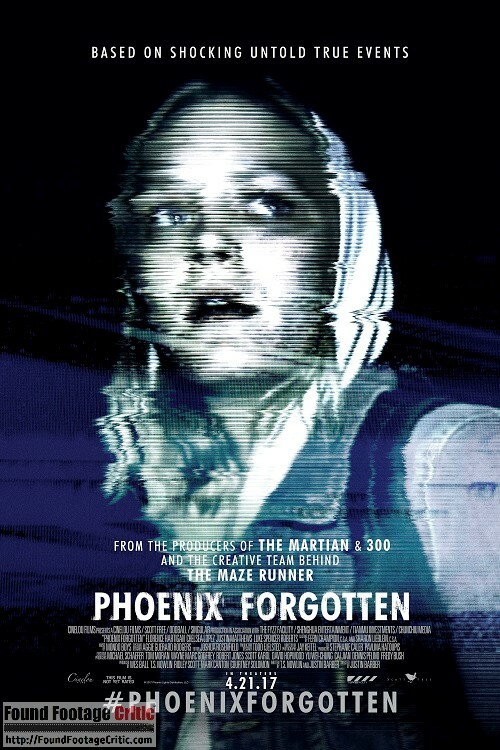 We’ve bent the rules just a tiny bit in this edition of “3 Found Footage Films You Can Watch Now.” Normally we only discuss films that, well, “you can watch now.” While two of the three films discussed here are available now, Phoenix Forgotten (2017) has a scheduled April 21, 2017, nationwide release (which is close enough for our taste). What follows are three found footage treatments of The Phoenix Lights. We leave it to you to decide which one, if any, are true. Films are listed in descending chronological order. Facts: In the spring of 1997, several residents of Phoenix, Arizona claimed to witness mysterious lights in the sky. This phenomenon, which became known as “The Phoenix Lights,” remains the most famous UFO sighting in American history. On July 23, 1997, three high school student filmmakers went missing while camping in the desert outside Phoenix. The purpose of their trip was to document their investigation into the Phoenix Lights. However, the group was never heard from again. Twenty years later, Sarah Bishop, a documentary filmmaker and younger sibling of one of the missing, returns to Phoenix to investigate their disappearances and revisit the emotional trauma left on those that knew them. 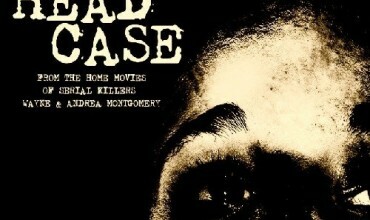 Nothing can prepare her for the shocking discovery of a tape from the night her brother and his friends disappeared. 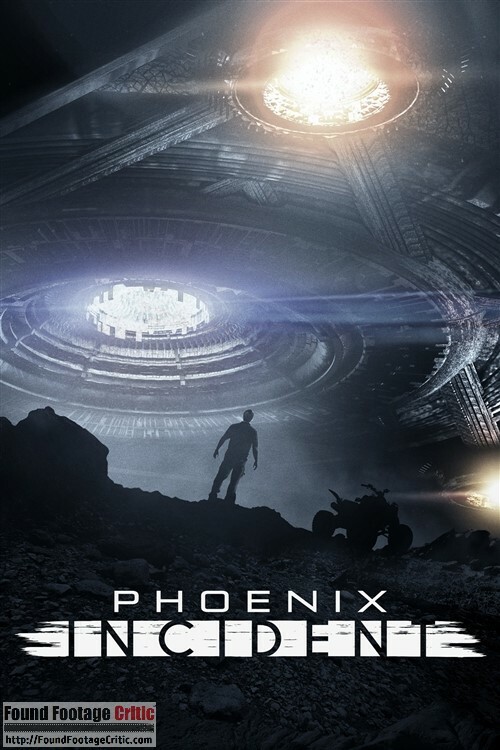 Conclusion: Phoenix Forgotten is the third found footage film covering the Phoenix Lights in as many years. This latest treatment of the Phoenix Lights incident is produced by Ridley Scott—a name which carries a great deal of weight, expectation, and anticipation. We had an opportunity to interview director Justin Barber about Phoenix Forgotten. Based on everything we’ve seen and heard thus far, Phoenix Forgotten is shaping up to be an unforgettable action packed UFO adventure. Click here to read a written transcript of select excerpts of the interview. Alternatively, click here to listen to the full podcast interview with Justin Barber. Likelihood of Truth? Data is still under review…You decide. Phoenix Forgotten Review: Blair Witch Meets Close Encounters in Ridley Scott Found Footage UFO Film! Phoenix Forgotten (2017) Director Reveals Secrets of Ridley Scott Found Footage UFO Film! Fact: In 1997, four campers went missing during the Phoenix Lights incident and their bodies were never found. 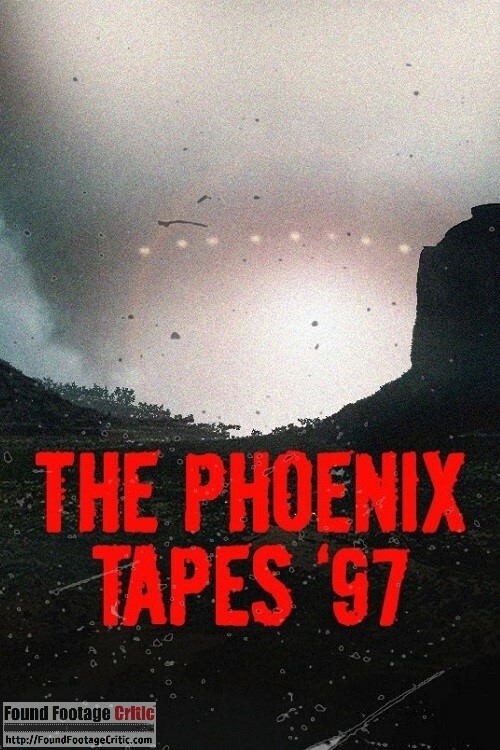 The Phoenix Tapes 97 is comprised of their final footage. The tapes were found by Dustin Miller’s father two years after Dustin was mysteriously shot and killed at a traffic stop in Texas. Peter Miller believes his son was acting as a whistleblower and had smuggled the tapes from his classified government agency to expose the truth as to what really happened to the four missing campers seen in the tapes. After searching every newspaper and media publication around Phoenix during that time period, only one announcement was discovered for the four missing campers were reported missing, as well as a formal police report folder filed with the local authorities, but the folder contained no files. Evidence: (i) Recovered found footage tapes recorded by the missing persons; (ii) Abandoned RV owned by the missing persons; and (iii) Allegation of an executed ex-government employee whistleblower. Conclusion: The Phoenix Tapes ’97 is shrouded in obscurity. The film contains no title card and no opening and closing credits, leaving the identity of the cast and crew in complete anonymity. This stylistic approach does wonders to increase the perceived realism of The Phoenix Tapes ’97. The film itself is even shot with a 1997 era video camera, furthering the illusion of actual found footage. 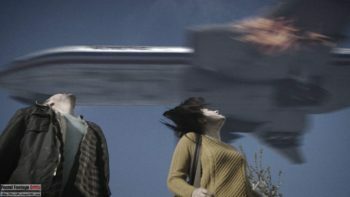 The CGI and practical effects are used very sparingly and blend perfectly throughout the film, a restraint rarely observed in found footage. While the adherence to realism (right down to the cinematography) is extraordinary, the pacing of the film is challenged. The Phoenix Tapes ’97 looks real, too real, which also means a good deal of superfluous footage is captured as a novice videographer on vacation would film—and this results in the story moving slowly at times. A tighter cut of the film would make The Phoenix Tapes ’97 more exciting, but with a runtime of 67 minutes, the film can’t trim much without falling below feature length. For found footage purists, The Phoenix Tapes ’97 is a compelling and sometimes scary and is definitely worth watching. Likelihood of Truth? Inconclusive data…You decide. Facts: Thursday, March 13th, 1997 marks the date of the Phoenix Lights, the largest mass UFO sighting in US History. The night of the incident, four Phoenix residents vanished in the Estrella Mountain National Park, south of Phoenix. Glenn Lauder (28), Mitch Adams (29), Ryan Stone (27), and Jacob Reynolds (28) were reported missing to the Maricopa County Sheriff’s office. The infamous “Lauder Case” has become the longest unresolved missing person’s case in Arizona history. 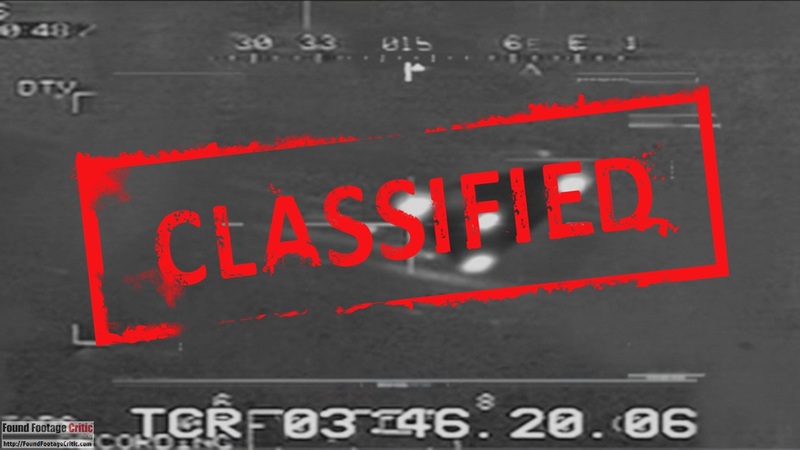 Evidence: (i) The Maricopa County Missing Persons Database contains entries for the four missing campers; (ii) Found footage from handheld video camcorders belonging to the missing persons; (iii) Surveillance footage from an undisclosed building in Phoenix; (iv) U.S. military satellite imagery; (v) U.S. military fighter jet front-mounted video cameras; (vi) Archival news footage from 1997; and (vii) Presented as found footage and eyewitness testimonies surrounding the events that took place on March 13, 1997. 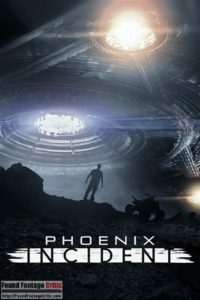 Conclusion: The Phoenix Incident is the first found footage film covering the Phoenix Lights and also had the good fortune of having a theatrical release, a rare occurrence for a found footage film. The film has exceptional pacing, good acting, incredible CGI, and non-stop action. 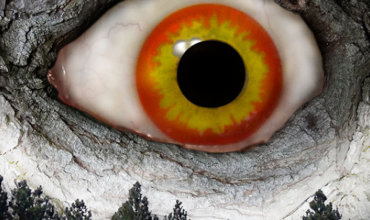 The film is high-octane visceral thrill-ride that found footage fans will not want to miss. Likelihood of Truth? Additional analysis is required…You decide. The next time you see a blue tinted light pouring through the slats of your window blinds late at night or see a strange formation of lights in the night sky, resist the temptation to get your camera to capture that ever elusive evidence of extraterrestrial life. Instead, lock your doors and barricade yourself in the safety of your basement until daybreak. “Why?” you might ask, well, we all know that aliens don’t invade or abduct people during the day. In this sequel to Hungerford, two teenager sisters try to survive as Britain descends into an alien apocalypse. Told through the eyes of the younger sister, the sisters' descent into a post apocalyptic hell where they must choose between humanity and brutality in the fight for survival. Top Alien Found Footage Films!